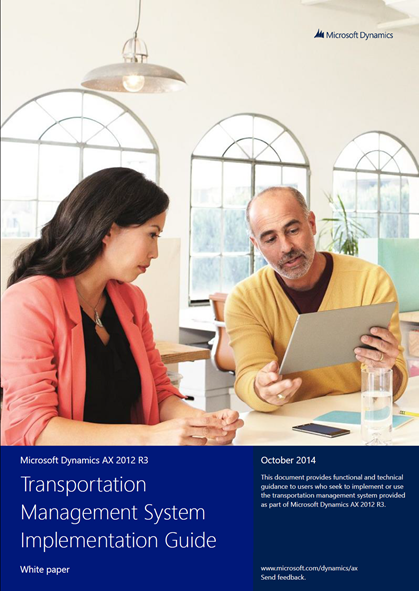 We’re glad to announce that the Transportation Management System Implementation Guide for Microsoft Dynamics AX 2012 R3 is now available. You can download it from PartnerSource or CustomerSource. The document then proceeds with a case study of the setup requirements for those scenario groups with detailed information about the various fields in the module and a case study for the setup of a rating engine.